Glyphosate has had a turbulent history. Monsanto first introduced the broad-spectrum herbicide in the 1970’s. It quickly became one of the most widely used chemical compounds in the world because of its ability to kill virtually all plants it encountered. With the introduction of glyphosate resistant crops in the 1990’s, glyphosate eventually catapulted to become the most widely used weed-killer in history. Today, glyphosate is being more scrutinized than ever before. In a recent California trial, a federal court jury ruled that glyphosate was a “substantial factor” in causing cancer. Public outcry and controversial science have led to glyphosate usage being temporarily halted or even permanently banned in some cities. 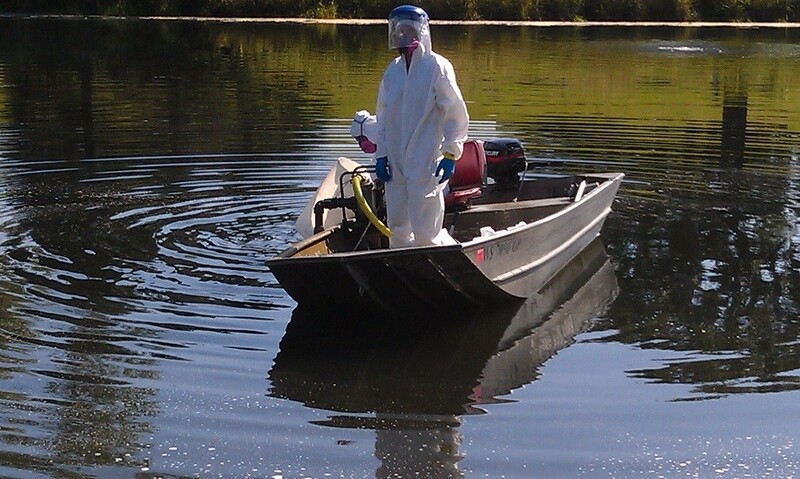 Glyphosate is commonly used to treat many aquatic plants in lakes and ponds or other waterways. Some of the most commonly treated plants include cattails, water hyacinth, purple loosestrife, water lilies, phragmites, and water lettuce. Being a systemic herbicide, the glyphosate is absorbed by the plant and moves throughout the plant tissue. The glyphosate inhibits an enzyme needed for growth and other processes. When the aquatic plant dies, it often sinks to the bottom of the water and contributes to both the organic matter buildup and internal nutrient reservoir. Water is a precious resource. Treating our lakes, ponds, or other waterways in a responsible and sustainable way should always be an important consideration in any project. The best aquatic managers take chemical, mechanical, cultural, and biological treatment methods all into account on each specific site. Sometimes that means modifying a more traditional herbicide treatment and sometimes that means using an alternative approach all together and sometimes that means using a little bit of everything. How Can I Reduce My Use of Glyphosate? Aquatic herbicide formulations containing glyphosate are widely used because of their relatively low cost and general effectiveness. However, many other herbicides can often be substituted to achieve equal or better results depending on the target. For example, glyphosate is rated as “excellent” for controlling cattails, but Imazapyr is also rated as “excellent” for controlling cattails. In addition, all-natural biocatalysts such as CattZilla, PondZilla, and AquaSticker can be paired with herbicides to improve chemical absorption and enhance degradation of the dead plants. Using biocatalysts to make treatments more efficient and effective can reduce overall use of chemistries and improve sustainability. 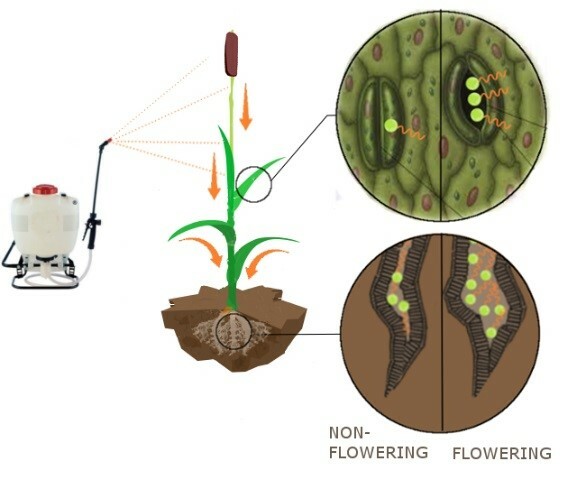 Mechanical methods can be another option for reducing glyphosate use. Harvesting, hand pulling, or ranking are a few examples of mechanical methods. When used appropriately, mechanical methods can be a very sustainable approach. Glyphosate is rated as “good” for controlling water lettuce. However, it can also be controlled by raking or skimming it off the surface. Perhaps the most sustainable treatment method is also the most difficult to deploy. Prevention, monitoring, and education are all different types of cultural treatment methods. Preventing boats that have invasive aquatic plants on their trailer from entering a water body is one example. Another example is implementing a monitoring program to identify invasive aquatic plants before they become too much of a nuisance. Companies like Naturalake Biosciences are avid partners in making cultural methods easier for applicators, through both education and laboratory services. Biological methods such as biocatalysts and probiotics are often used as part of an integrated management program to improve the sustainability of aquatic plant treatments. As mentioned earlier, biocatalysts can reduce the overall use of herbicides such as glyphosate by improving their ability to be absorbed into the target plant. In addition, they aid in the breakdown of the dead vegetation which reduces their contribution to the organic muck layer. Probiotics such as MD Pellets, Water Column Clarifier, or Temperature Driven Solutions are often used alone as a long-term treatment program to reduce internal and external nutrient loading. They also reduce rapid sedimentation caused by buildup of organic matter. 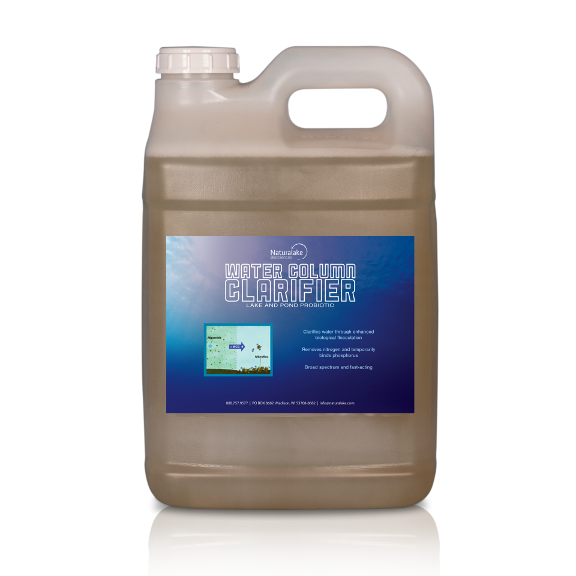 In addition, they are also often applied after herbicide treatments to rebuild the microbial community in the aquatic ecosystem and reduce soluble nutrients that have been released. Whether you currently use glyphosate a little or a lot, the shakeup and potential risks can leave you unsure of what to do next. But Naturalake Biosciences is here to help and wants you to feel confident that your treatments will be safe, effective, and sustainable.